We welcome B&B guests to Yew Tree Cottage in Turkdean in the heart of the Cotswolds. Just 3miles from Northleach and Bourton-on-the-Water, Turkdean makes an ideal rural base for exploring this beautiful area. 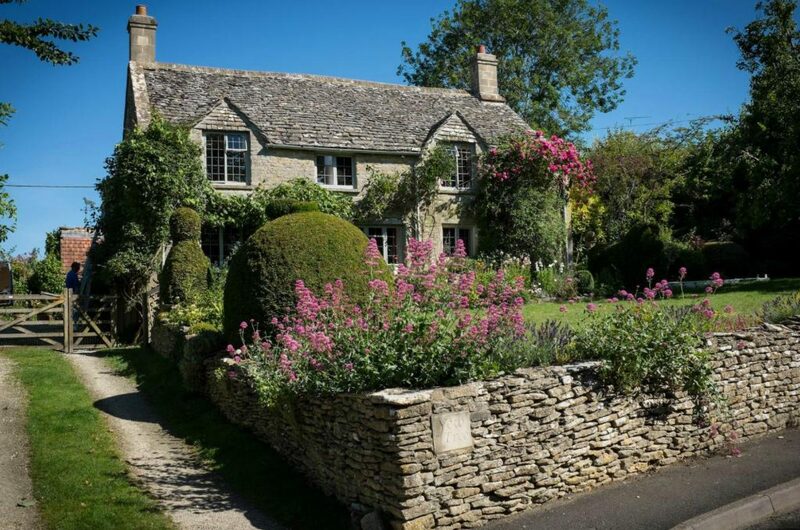 Our cottage B&B is a quintessential Cotswolds home providing every modern comfort in a very traditional setting. Yew Tree Cottage was formed by the combination of two 17th century cottages opposite All Saints Church. A shared central doorway in the front of the cottage was replaced by a window when these were joined together between the Wars, but otherwise the front elevation is unchanged from its 17th century origins. Turkdean is now just a small village of about 50 souls, 3 miles from Northleach and Bourton-on-the-Water. As we have avoided the necessity of a village sign we go mostly unremarked. Our village amenities consist of a lovely, much-altered Norman church, a postbox (still, just, with a daily collection at 4:45pm) and a K6 Gilbert Scott telephone box currently in need of a repaint! I put together a history of this small village. With a Roman villa (excavated “against the clock” by Channel 4’s TimeTeam in 1997), a Saxon community recorded in the Doomsday Book, a Norman church and medieval agricultural development based on the local wool trade, the village has a long history that belies its small size. For information about All Saints Church, check out Turkdean’s entry on the A Church Near You website, which lists services, contact details and the historical background of the building. 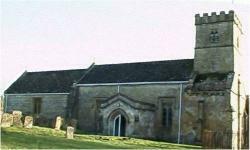 The wider Northleach Benefice, of which Turkdean is a part, has a great website too with information about all 8 churches in the benefice.